Using a hydroponic setup---growing plants without soil, usually in a water-based solution---is advantageous, as growing potted plants might introduce insects and disease into your home. However, growing hydroponically means the plants won't receive the nutrients they would from the soil, unless you add a fertilizer. 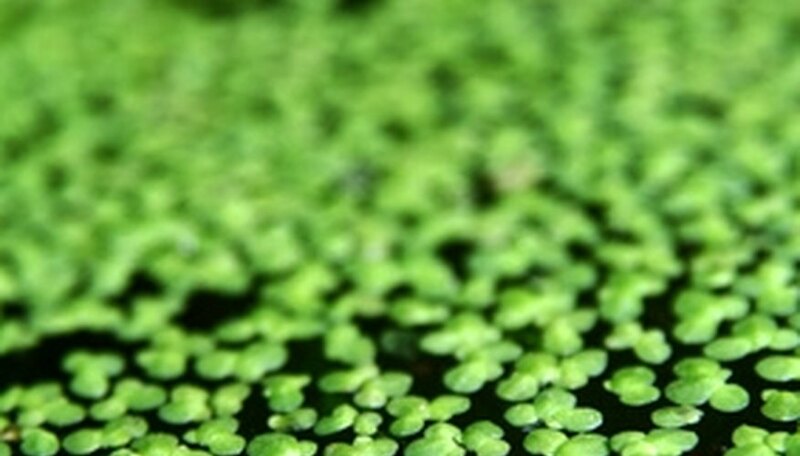 To grow hydroponics organically, add a source of nutrients that are natural or chemical-free. Making a compost tea, also called a hydro-organic fertilizer, will provide your hydroponics with essential trace elements, beneficial bacteria, potassium, nitrogen and phosphorus. It is easy to do once you find the appropriate ingredients online or from a specialty gardening store. A combination of kelp or seaweed, bat guano and worm castings are an ideal combination for an organic fertilizer. Place 1 gallon of manure or compost material into a sock or cheese cloth. A combination of worm castings and bat guano are ideal, but decomposed material from your own compost bin or other manures may be used. Pour 4 gallons of water into a 5-gallon bucket and place the manure into the bucket. Add 1/4 cup of liquid seaweed or kelp meal and 1/4 cup of unsulfured molasses or raw sugar to the bucket. Stir the mixture. Place the bucket outside in the sun for two to three days. Place an air pump into the bucket to provide oxygen for the beneficial bacteria to thrive on. (The molasses or sugar is their food source). Stir the tea several times a day, moving the manure package around, to concentrate the entire mixture. Dilute the tea before applying it to your hydroponic system. The appearance, when diluted, should look like a weak cup of tea. You can add more water to the bucket as you remove some of the compost tea. Add the tea to your water tray and/or spray it on the plant leaves. Test the pH of the water inside the tray using a pH testing kit to test whether you have diluted the compost tea appropriately and added enough to the tray. The pH should range between 5.5 and 7.0. For example, the Green Thumb advises broccoli grows best in a pH of between 6.0 and 6.8, whereas cucumbers and endives prefer a pH of 5.5. If specialize in growing one or two different vegetables or fruit, learn which nutrients they favor. For example, herbs prefer extra nitrogen and tomatoes prefer extra phosphorus. Measure nutrient strength using an electrical meter, which is unfortunately expensive. Adding cow or horse manure will increase nitrogen content and a little bit of wood ash will increase phosphorus.